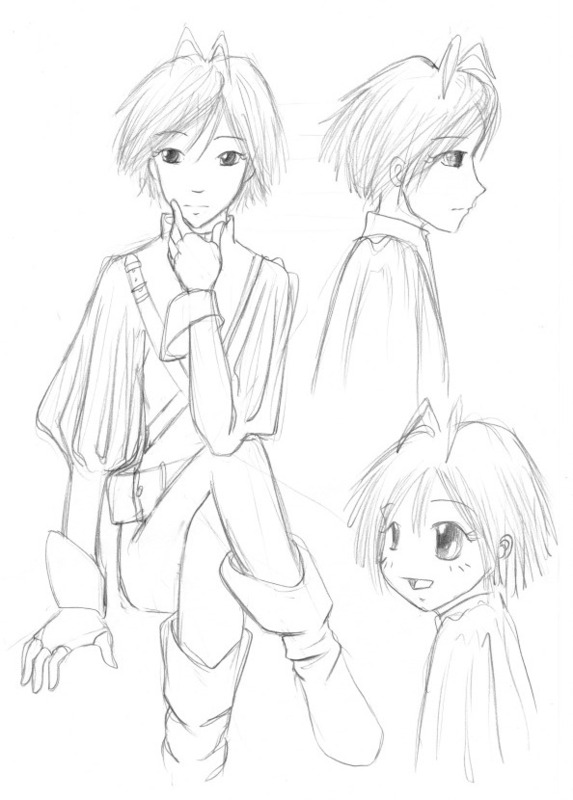 Two quick pencil sketches of a character belonging to a future project, drawn in April 2006. 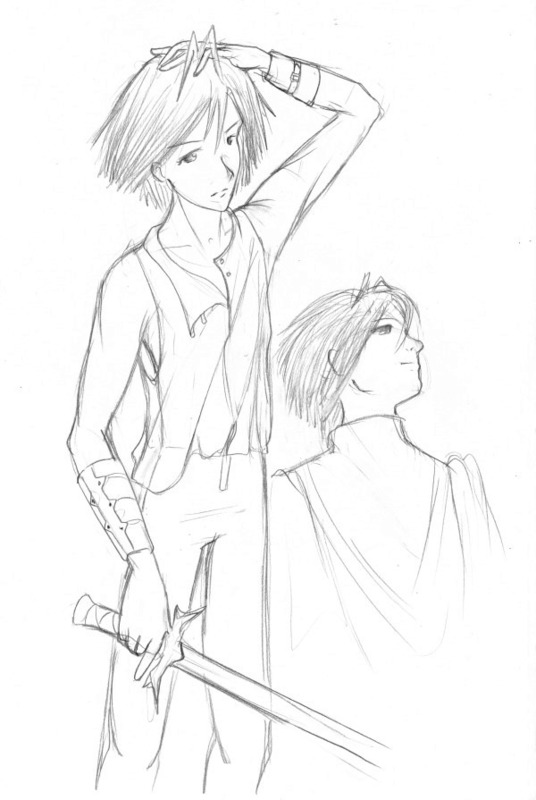 I was quite pleased with them, in particular his costume in the sitting position, and the angle of his head looking up. The sitting pose was inspired by the ending to the anime Mythical Detective Loki Ragnarok (I don't make these up, you know. It exists, and contains Norse gods and offensively cute white rabbity things that go 'punyan').